Urban Farming, Urban Growing, ... lots of names for this, but here is the basic idea. 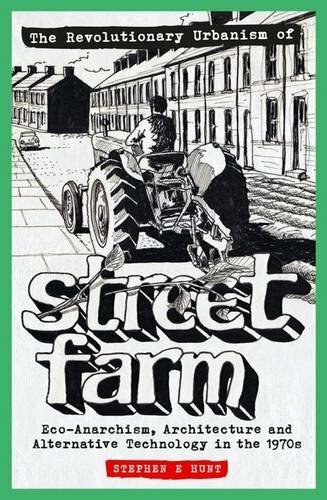 Stephen E Hunt has produced the definitive study of Street Farm (Graham Caine, Peter Crump and Bruce Haggart), a London-based collective collective of anarchist architects working in the early 1970s. The three friends put together Street Farmer, an underground paper that, alongside mutating tower blocks, cosmic tractors and sprouting one-way signs, propagated ideas for the radical transformation of urban living which they called 'revolutionary urbanism'. Taking inspiration from Situationism and social ecology, Street Farm offered a powerful vision of green cities in the control of ordinary people. As well as writing and drawing, the group took part in street activism and squatting, were exponents of autonomous housing and radical technology and became rock 'n' roll architects, going on the road with multimedia slideshow presentations to a recorded soundtrack of music by the likes of John Lennon and Jefferson Airplane. In 1972 Caine built and designed 'Street Farmhouse' with Haggart and other friends. It hit national and international headlines as the first structure intentionally constructed as an ecological house, appearing on an early BBC documentary introduced by a youthful Melvin Bragg. While their fame was brief, their ongoing influence on prominent green architects including Howard Liddell, Brenda Vale and Robert Vale and Paul Downton has been more enduring. In the present time of crisis the current hegemony of state and capital offers solutions that increasingly fail to inspire confidence and lack credibility in the eyes of millions of world citizens. The principles of organising society for human well-being and justice and for ecological viability are enduring. Radical history learns from the past to inform the present and inspire the struggle for the future. The utopian current suddenly seems not so utopian; eco-anarchism offers a set of thinking tools to imagine alternative possibilities for that future. If we can demand the impossible, we can also refuse the inevitable. Growing Power is a sustainable urban agriculture centre located in the city of Milwaukee. 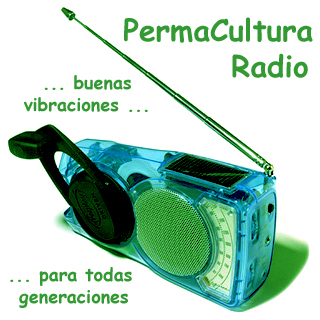 A Permablitz is a permaculture based garden makeover where people come together to share knowledge and skills about food production. Search for 'PermaBlitz' in YouTube for lots of examples! Since the early 80's the Dervaes family has slowly transformed their ordinary city lot into a self sufficient urban homestead. Short documentary about the Dervaes family experience, in Pasaden, Cal, which is an inspiration for everyone these days. Urban homesteaders at it's best! This video shows the efficiency and sustainability of a bottle tower garden. They can be installed against the wall of a house or along a hedge or a fence. The number of bottle towers has to be adapted for providing food security for the family all year long and year after year. It is a method applicable anywhere on earth, both in rural and in urban areas, e;g. on a balcony. Growing food vertically in the city? The Swedish company Plantagon will show how to grow more food in less space when it opens its first urban greenhouse in 2013 in Linkoping, a city some 180 miles from Stockholm. The plan is to grow vegetables in a turning helix with minimal water, energy and the need for fertilizer. With the world's population to top 9 billion by 2050 -- and with 80% of those people projected to live in cities -- finding innovative, cost effective, and environmentally friendly ways to supply food to cities is a major challenge. Earth Focus visits Plantagon for a look at what might well be the future of urban food.